The National Geochemical Database project assembles, reformats, corrects, and archives historical data obtained from the geochemical analysis of millions of geologic samples collected for USGS studies. 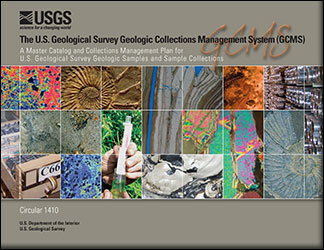 These data, representing hundreds of millions of dollars' worth of USGS research, are provided to USGS researchers; other Federal agencies; State Geological Surveys and Environmental Protection agencies; mining, mineral exploration, and environmental industries; independent consultants; academicians; students; and private citizens through online portals and project collaboration. Screenshot of the National Geochemical Database Portal on the USGS Mineral Resources Online Spatial Data Website. Beginning in 1964, analytical laboratories now housed within the Mineral Resources Program have recorded geochemical data in digital databases. During this time, these laboratories have analyzed over 1.4 million samples of geologic material such as soils, stream sediments, and rocks, and continue to analyze several thousand samples annually. The database representing these analyses contains in excess of 50 million analytical determinations and is growing daily. 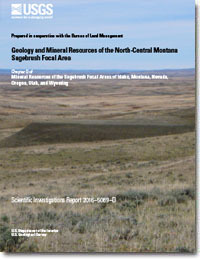 In 1984 the Mineral Resources Program inherited management responsibilities for the geochemical data generated on over 500,000 samples of stream sediments, soils, and waters by the Department of Energy's National Uranium Resource Evaluation (NURE) Hydrogeochemical and Stream Sediment Reconnaissance (HSSR) Program, which was conducted during the late 1970s and early 1980s. This project addresses the preservation of all the archival chemical data and all the newly generated data in perpetuity in an accurate, easily accessible, user-friendly, secure database. 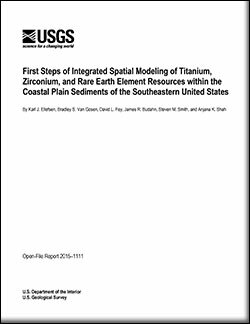 An accurate, easily accessible geochemical database containing multi-element information on the surficial materials of the nation is vital if the USGS is to respond quickly to earth science issues raised by Congress and land management and environmental protection agencies. 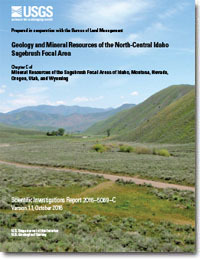 A nationally consistent geochemical database provides baseline information on the natural abundance and spatial variation of chemical elements to which changes caused by agricultural and irrigation practices, waste disposal, urbanization, industrial pollution, mineral exploration and mining activities, environmental remediation and restoration activities, and other land-use practices can be compared. Human-induced chemical changes to the environment are superimposed on a variable natural geochemical background where trace-element abundances can range over several orders of magnitude within short distances. These variations are inadequately documented and their existence is often overlooked in the setting of public policy. Important aspects of change cannot be measured, or their consequences anticipated, unless the present composition of the earth's surface materials is known. Since 1995, National Geochemical Database projects have succeeded in converting, reformatting, combining, and preserving disparate geochemical data stored in Rock Analysis Storage System (RASS - the geochemical database maintained by the former Branches of Regional Geochemistry and Exploration Research from 1968-1987); archive PLUTO (the archive geochemical database maintained by the former Branches of Analytical Laboratories and Geochemistry from 1979-1995); and ATHENA (the geochemical database maintained by the Mineral Resources Science Center within the former in-house Laboratory Information Management System (PLUTO/LIMS) from 1995-1997). All of these data are now housed in the National Geochemical Database. The current phase of the National Geochemical Database project has been divided into five tasks, each of which uniquely contributes to the goals and the strategy of the project. 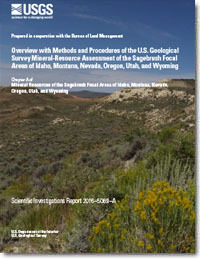 Day, Warren C.; Hammarstrom, Jane M.; Zientek, Michael L.; Frost, Thomas P.
Day, W.C., Hammarstrom, J.M., Zientek, M.L., and Frost, T.P., eds., 2016, Overview with methods and procedures of the U.S. Geological Survey mineral-resource assessment of the Sagebrush Focal Areas of Idaho, Montana, Nevada, Oregon, Utah, and Wyoming (ver. 2.0, October 2016): U.S. Geological Survey Scientific Investigations Report 2016–5089–A, 211 p., http://dx.doi.org/10.3133/sir20165089A. 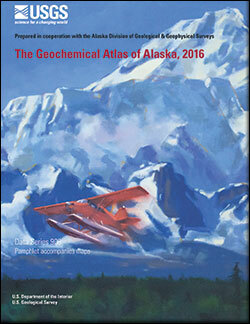 Granitto, Matthew; Schmidt, Jeanine M.; Labay, Keith A.; Shew, Nora B.; Gamble, Bruce M.
Alaska Geochemical Database - Mineral Exploration Tool for the 21st Century - PDF of presentation; 2012; OFR; 2012-1060; Granitto, Matthew; Schmidt, Jeanine M.; Labay, Keith A.; Shew, Nora B.; Gamble, Bruce M.
Geochemical analyses of rock, sediment, soil, mineral, and heavy mineral concentrate samples in Alaska analyzed from 1962 through 2009. 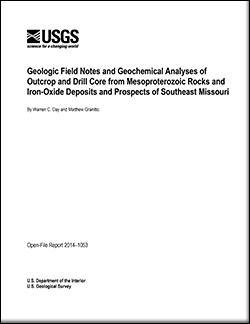 Geochemical analysis of rock samples collected and analyzed by the USGS. This dataset includes and supersedes rock data formerly released as "Geochemistry of igneous rocks in the US extracted from the PLUTO database". The database contains 414,304 records. Geochemical analyses of sediment samples throughout the U.S. collected by the hydrogeochemical and stream sediment reconnaissance (HSSR) phase of the National Uranium Resource Evaluation (NURE) program. This database contains 397,625 records. Geochemical analyses of water samples throughout the U.S. collected by the hydrogeochemical and stream sediment reconnaissance (HSSR) phase of the National Uranium Resource Evaluation (NURE) program. This database contains 335,547 records.